Making quality music is tough – it requires talent, time, and in most cases technological expertise. This can be a major roadblock for YouTubers, filmmakers, video game designers, coffee shop singers, music producers, and many others. To help accelerate the process – AIVA – a Luxembourg-based startup developed a tool that can help musicians and creators more easily compose new music. Using deep learning and NVIDIA GPUs, AIVA automatically generates elements of a song. “AIVA is an artificial intelligence that has learned the art of music composition by reading over 30,000 scores of the world’s greatest composers,” said Pierre Barreau, the company’s founder and CEO. Even though the tool can create complete instrumental tracks, Barreau says AIVA was not designed to eliminate people from the creative process. 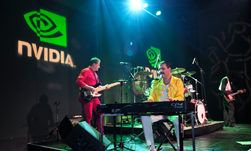 To show the AI community just how powerful this tool can be – NVIDIA collaborated with AIVA in creating a brand new track inspired by the legendary Queen band. From “Bohemian Rhapsody” to “We are the Champions” to “We Will Rock You” – Queen has produced some of the most diverse and eclectic rock tracks the world has ever heard. The NVIDIA team thought it would be fitting to show the world’s top AI researchers how AI can generate a song that resembles the legendary band. The new track called “Change the World” premiered at an NVIDIA reception in Montreal, Canada this week during the world-renowned NeurIPS AI conference. Using NVIDIA TITAN GPUs, developers from AIVA trained a deep neural network on hundreds of rock music tracks from a variety of artists. During training, the neural network learned to mimic the unique elements of a song such as melodies, guitar chords, bass lines, instruments, tempo, and the many other elements of a track. The team used a combination of convolutional neural networks and recurrent neural networks. The team then re-trained the neural network on 52 tracks from Queen for the algorithm to develop a bias for Queen’s music. The neural network then generated the first elements of the song in the MIDI format, an electronic file that allows creators to easily make modifications to a song using computer software. 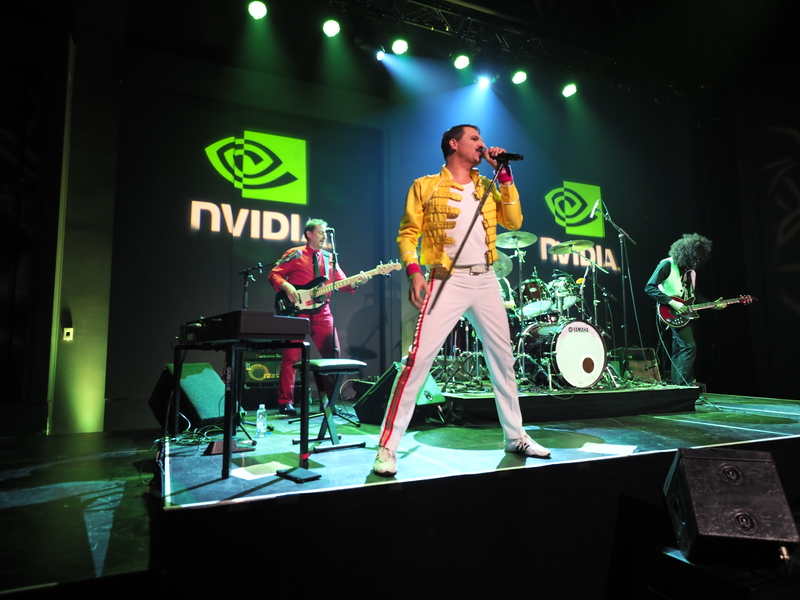 To help organize the elements of the new track – NVIDIA enlisted the help of a resident sound designer and Queen cover band Simply Queen to put all of the pieces the AI generated – as well as human craftsmanship together into one song. To push the boundaries a bit further, we worked with Encore.ai – a startup that uses deep learning to generate lyrics in the style of any artist – to help compile lyrics to fit with the composition of the song. The team initially trained their neural network on a large English language dataset, as well as on a dataset of rock lyrics from bands similar to Queen and then lastly fine-tuned them on tracks from Queen. The new AI-based song was performed by the Queen cover band ‘Simply Queen’. “We’re quite satisfied with the composition that AIVA helped create,” said Barreau. “As we demonstrated in this collaboration – AIVA is not supposed to be something that replaces human creativity, it’s designed to help musicians” he added. Creators looking to use the AI tool to accelerate their work can sign up for beta access to the online-based application today.